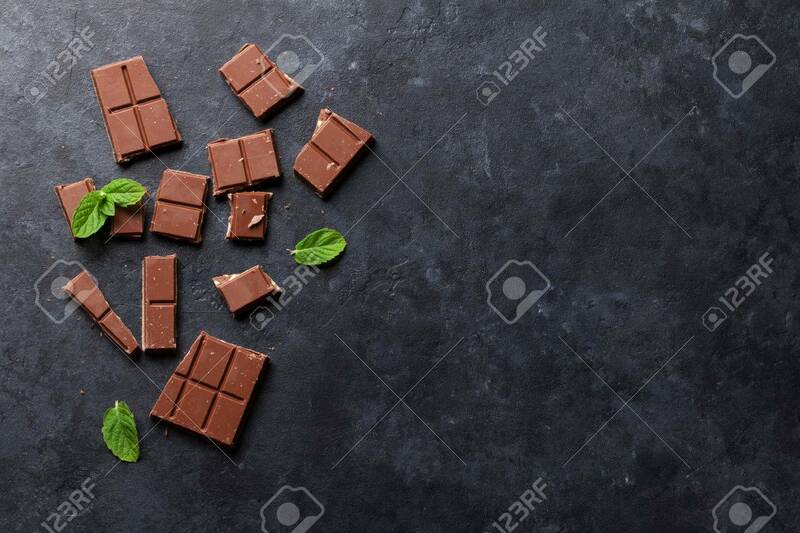 Chocolate On Dark Stone Background. Top View With Copy Space Stock Photo, Picture And Royalty Free Image. Image 58872218.